Blackpool FC will NOT be deducted 12 points for going into receivership, the EFL has today decided. The reprieve comes after the EFL’s board met earlier today to discuss the club’s case, following the appointment of a receiver by the High Court in February. Under EFL rules, the appointment of a court receiver is deemed ‘an insolvency event’ in the same way administration is, and carries the threat of a 12-point deduction. However, the decision was discretionary and the EFL have opted against imposing the punishment, which had threatened Pool’s League One status. 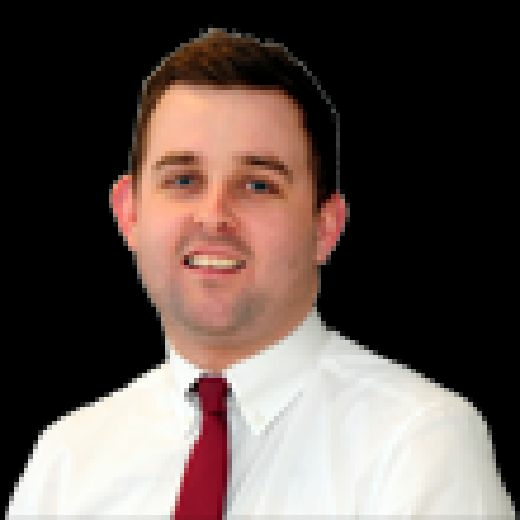 An EFL spokesperson said: "The EFL board today considered the outstanding submissions made by Blackpool FC following the appointment of the receivers by the High Court in February 2019. "The information received from both the club and the receivers has allowed the board to make a final determination on whether the club is to be regarded as being subject to an Insolvency Event as detailed in Regulation 12.3. "Based on the evidence presented and the judgment of the court, the board agreed that the appointment of the receiver is not material to the club’s ability to fulfil its obligations as a member club and as a result should not be regarded as having suffered an Insolvency Event, meaning a 12 point deduction is not applicable. "The decision taken was based on the information presented and the EFL board has reserved the right to review the matter should the position subsequently change in the future." Should the points have been docked, it would have left the Seasiders just three points above the relegation zone with five games remaining. But Pool will now remain in eighth place in League One, eight points adrift of the play-off places. Terry McPhillips and his players will now be able to focus fully on the run-in without the threat hanging over them, as it had been for the past two months. 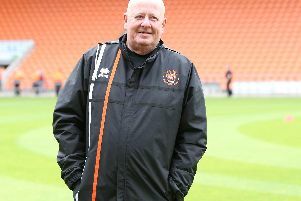 In an open letter penned in February, EFL chief executive Shaun Harvey - who is due to leave the organisation at the end of the current season - claimed it was their priority to create "stability" at Blackpool. He went on to say it was not mandatory to apply the 12-point deduction, but added the circumstances surrounding the appointment of the receiver needed to be fully considered before a decision was made. The appointment of the receiver was approved by the High Court to discharge the football club and its related assets to recoup the £25m Owen Oyston still owes Valeri Belokon. Oyston and his daughter Natalie Christopher were subsequently removed from their roles on the board, paving the way for thousands of fans to lift their boycott. 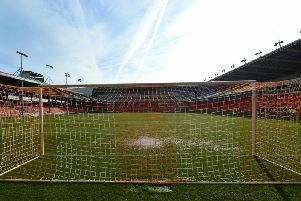 The EFL’s decision not to dock the 12 points will be greeted by the parties interested in buying the club, who will have preferred Blackpool to remain in the third tier.